Organize all your conversations into a single place so your team can help customers faster and with more context. 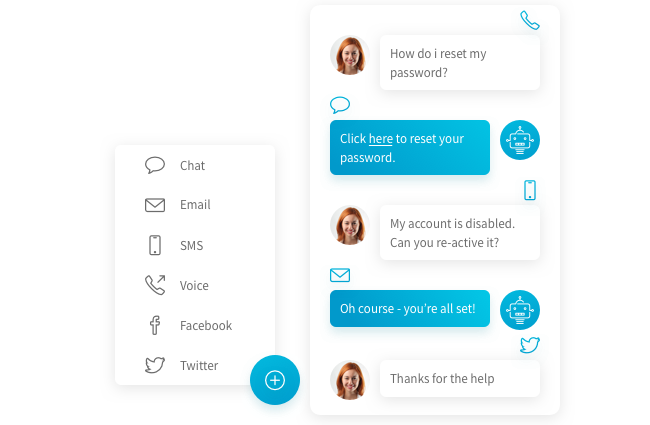 Relay automatically converts every conversation into a ticket. There’s no need to switch between tools or products. No matter what channel the customer uses to contact you, the agent is always provided with a consistent ticket, allowing him or her to focus on helping the customer and not on tracking data. 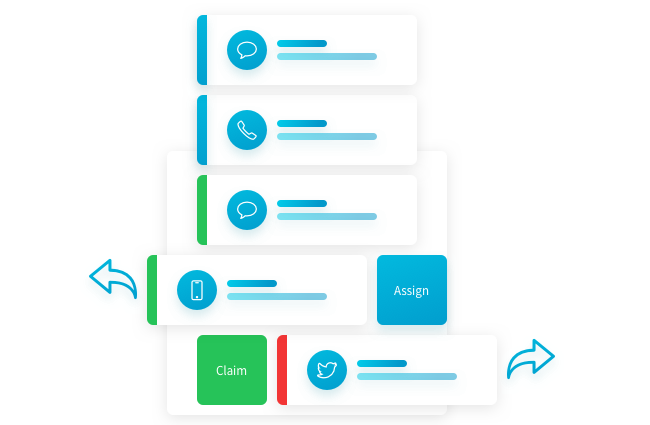 The Smart Inbox brings all your customer conversations from all channels into a single organized and prioritized queue for easy management. A unified team-based queue makes it easy to see all conversations in one place. Relay intelligently organizes conversations by channel and priority to show your agents what needs attention next. Visual colored counters on tickets highlight conversations that need attention. Claim, watch, or assign tickets to teams or agents right from the ticket card. Interact with your customers the same way no matter what channel it comes from. Freely move between public and private conversations within a ticket. 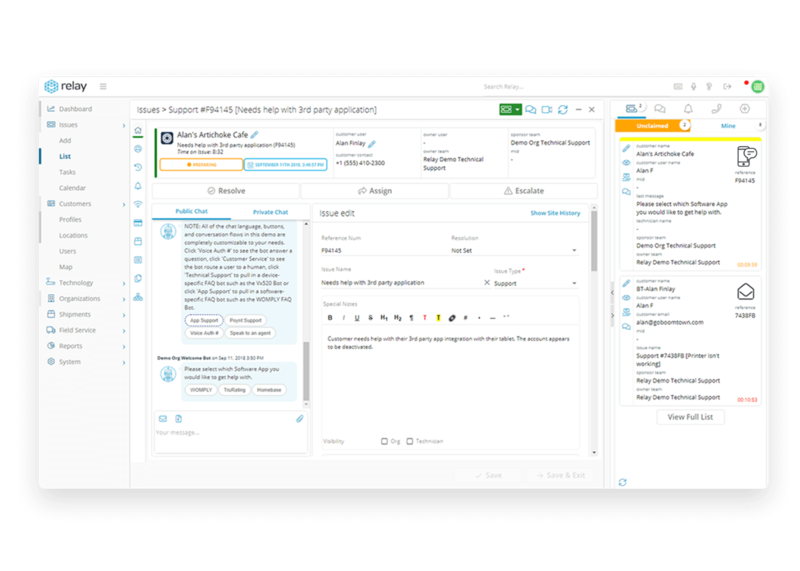 Use @mentions to collaborate with team members within the chat. See details from every historical conversation to increase context and provide a more personal experience. See what technology they use, which vendors they work with, and view their social profiles with a single click. Add names, tags, notes, and more to tickets to track, organize, and review interactions. What Else Can Relay Tickets Do? A copy of every conversation is transposed to pdf and saved on the ticket for easy review. Get notified within Relay when something requires your attention. View every agent and system activity on the ticket in a simple timeline for complete context. Diagnostic checklists guide agents to ask the right question and capture important information. Automatically track packages and get notifications when they arrive. Track time to response and time to solve on dashboards for easy SLA management.